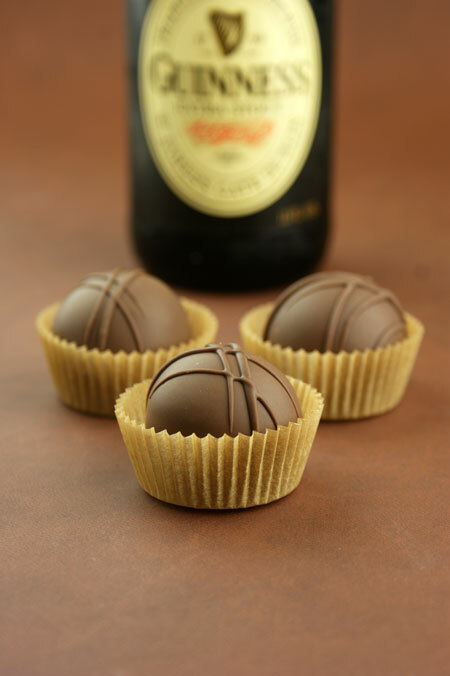 Chocolate Stout Cake Truffles (or Beer Balls if you ask the guys at work). If this doesn’t scream of a man-dessert, not sure what will. 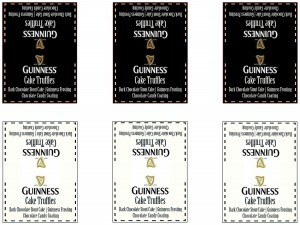 Guinness is used in the cake and the frosting. 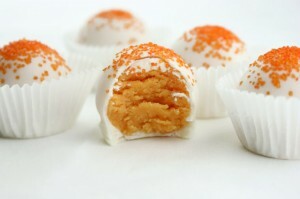 Then everything is combined together to form one pop-able, slightly bitter, chocolately, creamy cake truffle. You will have a little extra frosting, but I’m fairly certain you can find something to slather it on! Pretzel dip anyone?! Trust me, it’s yummy. Try to resist dipping your fingers in the frosting… just try. 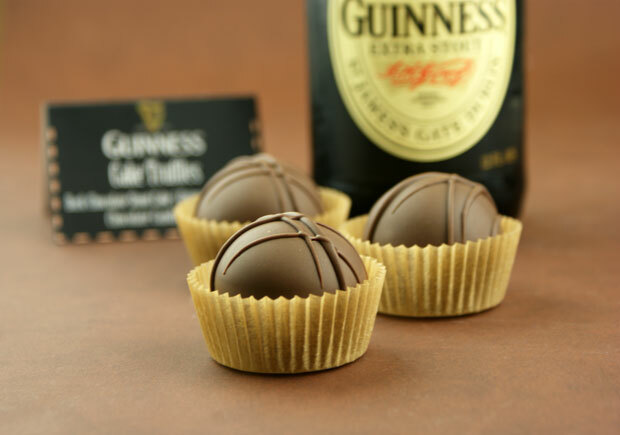 If I wasn’t too excited by the fact that I just made Guinness-cake-bites (and as soon as I photograph them I get to eat them), I would’ve topped these off with crushed pretzels, but bacon pieces would be another suitable substitute. 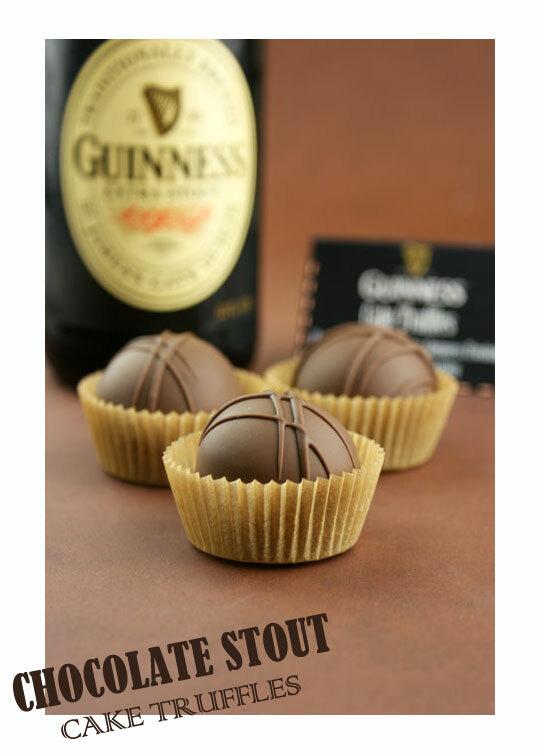 Chocolate Stout Cake Bites: dark chocolate stout cake mixed with a Guinness frosting, rolled and dipped in chocolate coating! 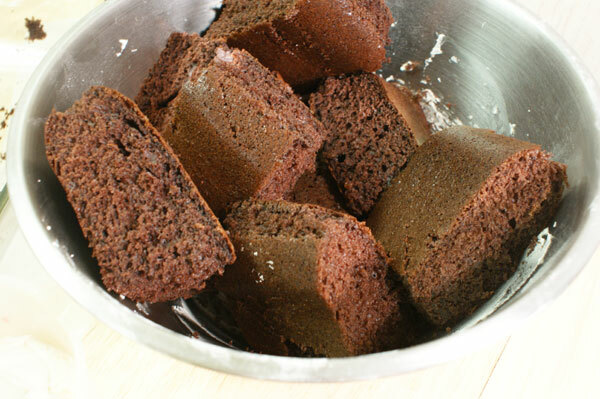 Prepare cake as directed on box (substituting water with equal amount of porter or stout beer). Crumble cooled cake into a large bowl. 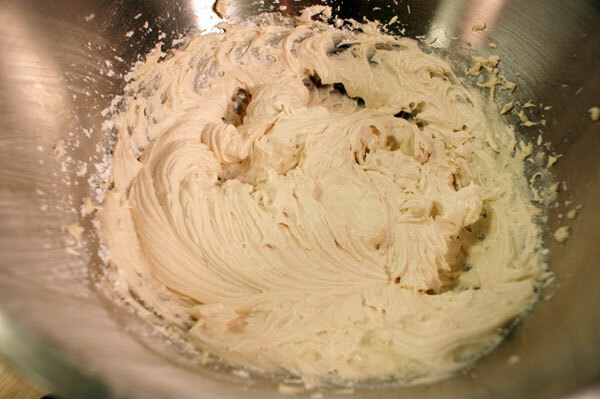 Prepare frosting: mix softened butter until fluffy. Slowly add powdered sugar, stout, vanilla, and salt; beat on medium-high for 3 minutes or until light and fluffy. 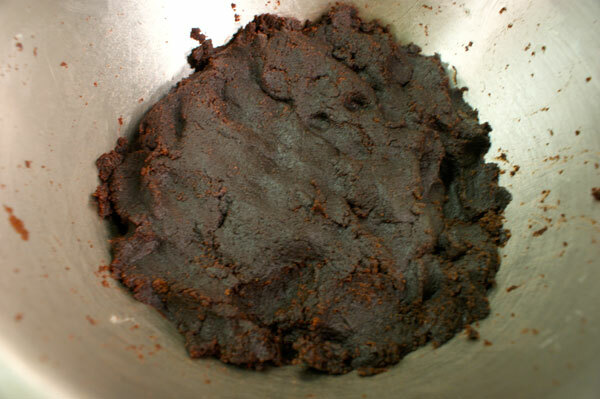 Add 1/2 cup of frosting to crumbled cake and mix thoroughly. 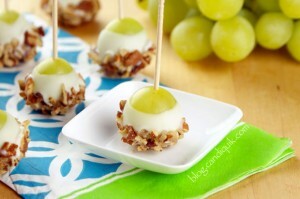 Roll mixture into 1″ balls and place in the refrigerator for approximately 1 hour. Melt Chocolate CANDIQUIK according to package directions. 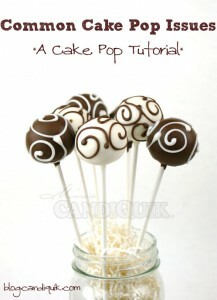 Dip cake balls in chocolate coating and place on wax paper to set. 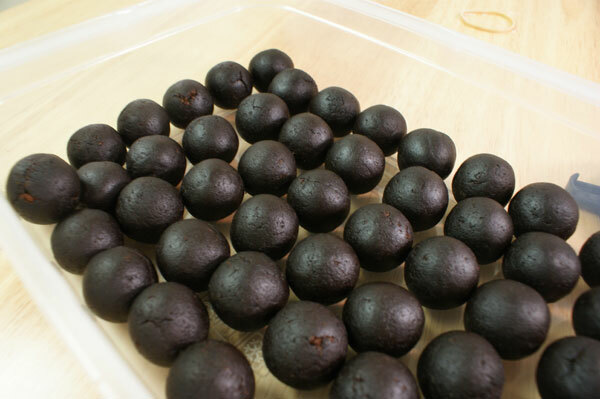 For more flavorful cake truffles, allow the cake balls to sit in the refrigerator for 24 hours prior to coating. Happy Father’s Day (to me). Wow! 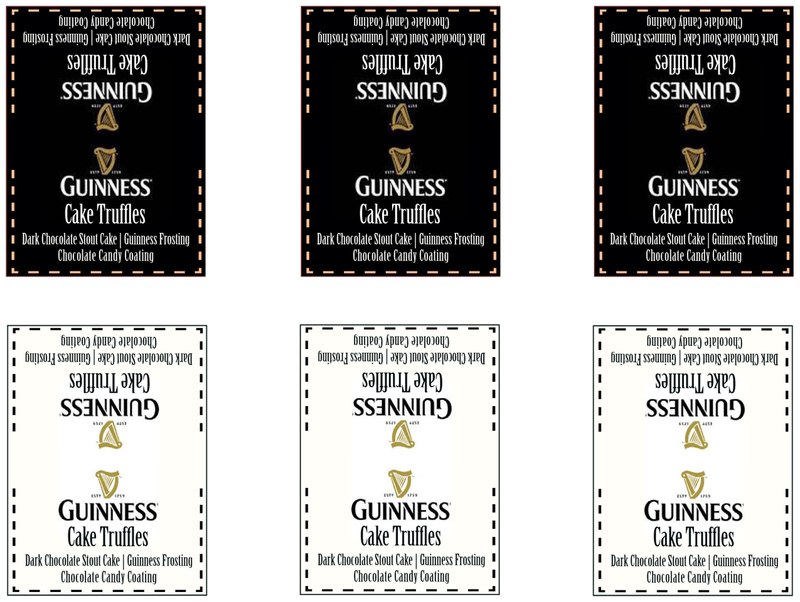 I’m a big fan of Guinness Extra Stout AND Chocolate cake!!! But I never thought to combine the two (well, except for eating the cake and drinking the stout) however, in this case you get the best of both worlds. I really liked what I saw! Thanks. 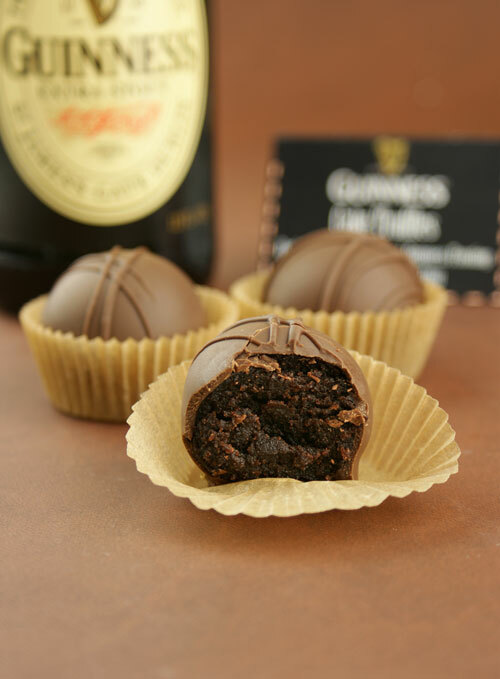 Your truffles look just perfect! 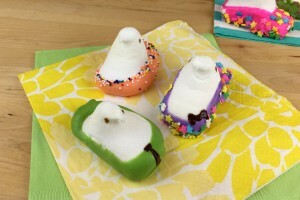 This is such a fun father’s day dessert! Total dude food. 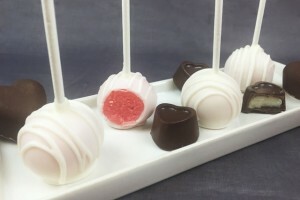 Your cake truffles are look like something found in an upscale chocolate shop! I am not a big fan of the bitterness of dark beers but I do know some people who would love these as a gift! Besides your coating looking soooo perfect (practice makes perfect, I know), how do you apply your decorative lines on top? Do you use a pastry bag and tip? Hi Wendy, thank you! So sweet of you to say…to apply the lines on top, I actually just use a plastic (freezer ziploc) bag and cut a tiny hole in one corner, then pipe on the lines! Pretty sure I could stuff at least 6 of these in my face! 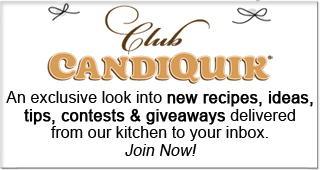 Just gorgeous, thanks for linking up with What’s Cookin’ Wednesday! HOT DAMN! I want these right MEOW! I just cannot get over how gorgeous these are! The look great! Can’t wait to try the recipe. What are your recommendations for storing them once coated, will they keep in room temperature or is it best to refrigerate them? Or will this cause the coating to discolor? Hi Tanya, because of the frosting, I would keep these refrigerated if you plan on storing them for more than a couple days! do I have to use extra stout ? Thanks! 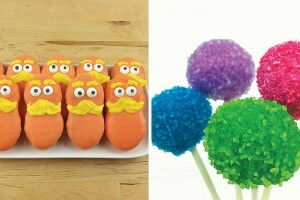 I am doing this for new years party and hubby grabbed the wrong one I will let you know how they turn out. Sounds good! Hope everything was great! can you make ahead and freeze these?? Hi Claire! I would refrigerate or freeze the uncoated truffles and then coat in CandiQuik after. If they’re frozen after being coated, condensation may form on the outside and make your CandiQuik sticky! The finished truffles store very well in an air tight container kept in a cool/dry place.